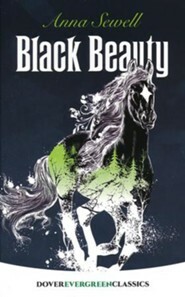 One of the most celebrated and enduringly popular animal stories, Black Beauty was originally written as an appeal for the humane treatment of horses. This suspenseful and deeply moving account of a horse's experiences at the hands of many owners is retold here in an excellently illustrated coloring book version of the classic tale. Artist John Green provides 35 realistic, ready-to-color scenes that depict Black Beauty's life — from his carefree days as a young colt through bleak and arduous experiences with a series of insensitive and often cruel handlers. The specially abridged new text, set in large, easy-to-read type, relates a story that not only reveals many social problems of the late nineteenth-century but will tug at the heartstrings of animal lovers of all ages. 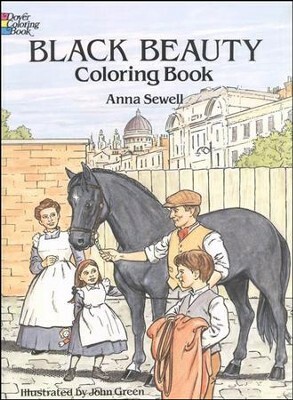 I'm the author/artist and I want to review Black Beauty Coloring Book.